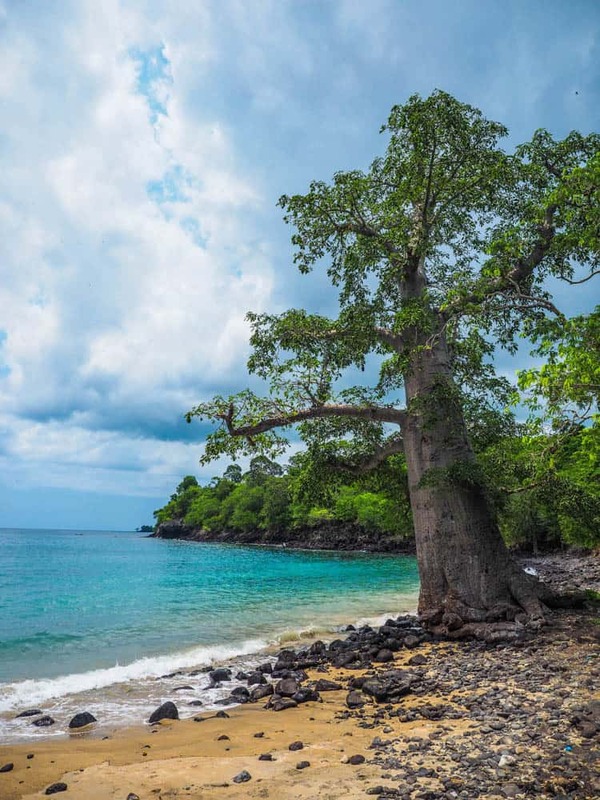 The Central and Northern part of Sao Tome & Principe is the most rural and undeveloped part of the country, but also some of the most dramatic and undiscovered beauty is on this part of the island, and best of all there are enough beaches here for you to find one without other people. Some of them are also nesting beaches for Turtles along the northern coast. This is also where you can start the two days climb to the top of the highest mountain in Sao Tome & Principe, Pico De Sao tome 2024m/6640feet, guide and camping required. 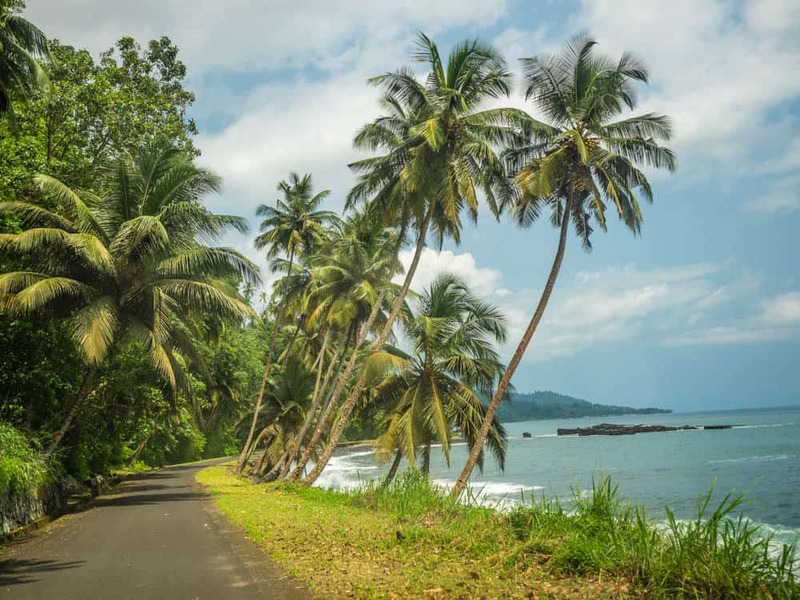 While the southern part of Sao Tome (click here to read) has excellent roads, so are the roads on this part of the island pretty bad. 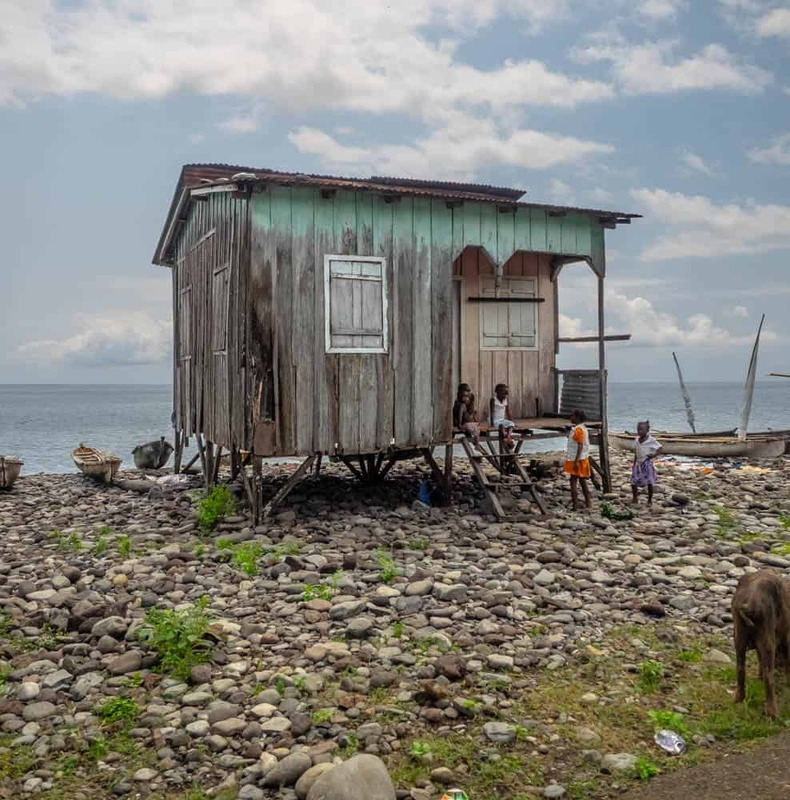 But luckily is it only 44.8KM /27,8Miles from Sao Tome Town to Santa Catarina the last settlement on the northern coast. Even with only 44km of a road here will it take you quite a bit of time to travel around this part of the island due to the poor road condition, and with very limited public transportation options in Sao Tome are you far best of with renting your own vehicle to discover this part of the Island. This northern coast is mostly home to small fishing villages and beaches, but also here are some old abandoned plantation from the Portuguese area. Only about 30min from the capital of the island is Lagoa Azul, a small lagoon with some of the clearest water in the country, perfect for snorkelling (bring your own equipment) and a favourite among locals for picking in the shade of the big baobab Trees. The same trees as the famous ones in Madagascar on the Avenue of Baobab. (Locals warned me about theft from cars here are common here). Lagoa Azul with a big Baobas three. Roca Agostinho Neto, this is the biggest and most important Plantation in the country is also located on this part of the Island; this is the plantation that´s featured on the back of the 5000 banknotes. 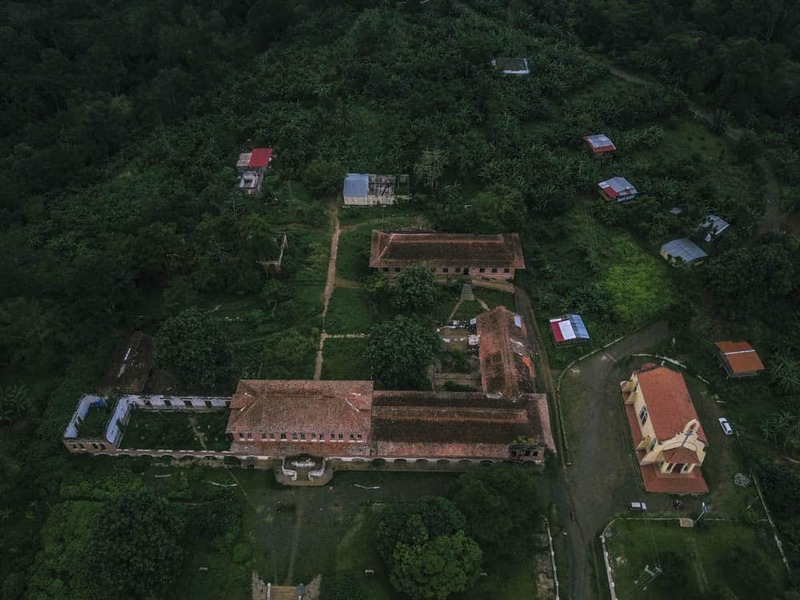 This plantation was once the biggest producer of cocoa, bananas, wood, coffee and copra in the country. The plantation is only partly running these days, but the worker’s village in front of the village is still home to tens of families, expect to get surrounded by friendly kids asking for sweets here. Further up along the cost is the town of Neves, the third biggest town (population around 7500) in the country, the town itself don¨t have any sights but is an important town in the country with its harbour, Rosema Brewery, the local beer is also located here. 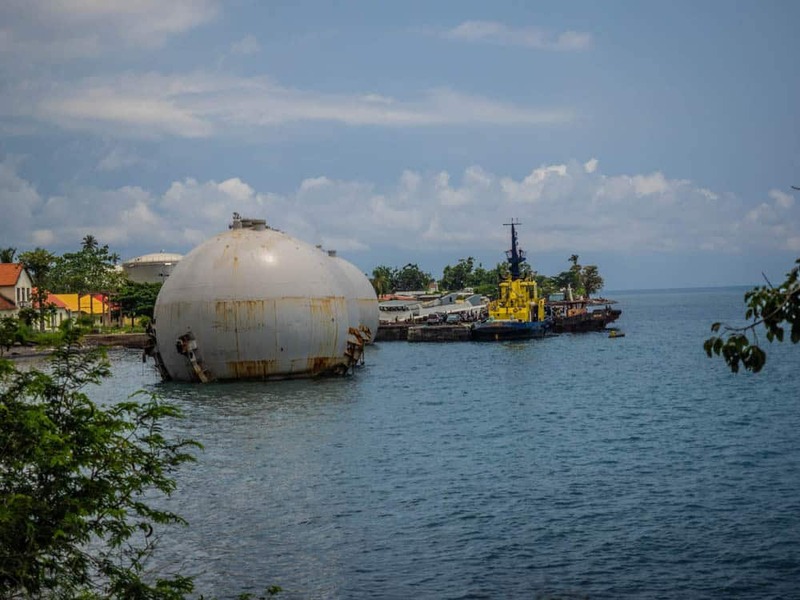 Neves was a port for Norwegian whale fishing companies up until the late 1950s with up to 100whales being killed in the waters around Sao Tome & Principe every year. As a Norwegian did I try to find remains for this part of history around Neves, but without any luck. Big Petrol tanks in Neves port, all petrol and gas in the country arrives from Angola. 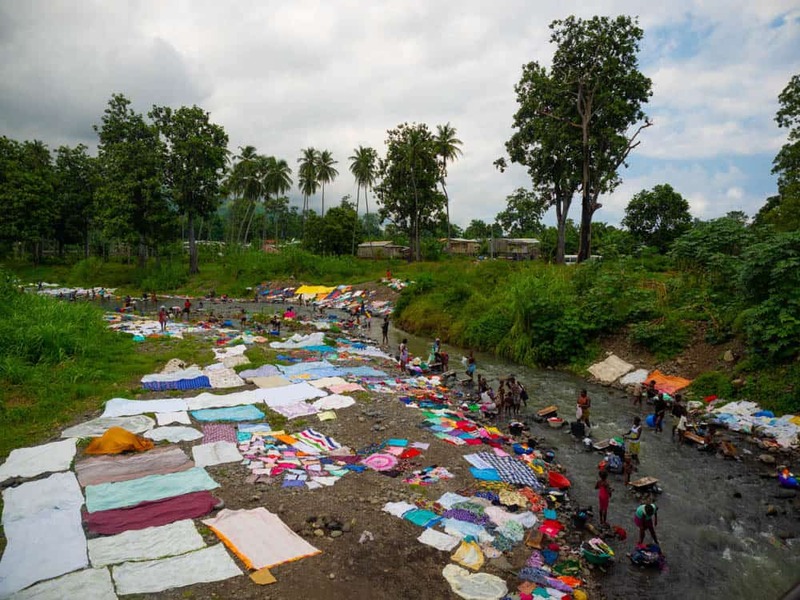 Locals are doing laundry in the river outside Neves. 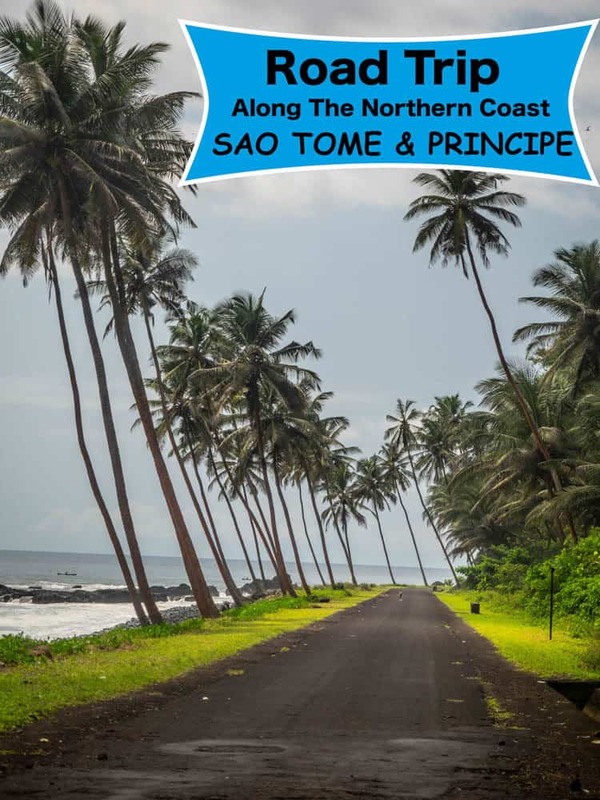 Neves is 30km/18,6miles from Sao Tome the capital, so you have already driven most of the northern part of the Sao Tome when you get here. Since this is the biggest town on this part of the island is this where you are best of with getting lunch or some snacks. There are two restaurants in town with Santola being a famous restaurant in the country for its seafood. Just outside Neves is the starting point for climbing Pico de Sao Tome 2024m, the highest mountain in the country. While 2024 meters is not especially tall for a mountain so is the hike said to bee though, not for the hight itself but that the track is supposed to be muddy and slippery, I would have done the hike myself, but I couldn’t find any available guides. But If I would ever come back to Sao Tome & Principe agian would I definitely try to do the hike. I will come back, the country is amazing. The road between Neves and Santa Catarina the last settlement in the north of Sao Tome, is windy along the coast, passing a few waterfalls and through the only tunnel in the country. It´s quite scenic. 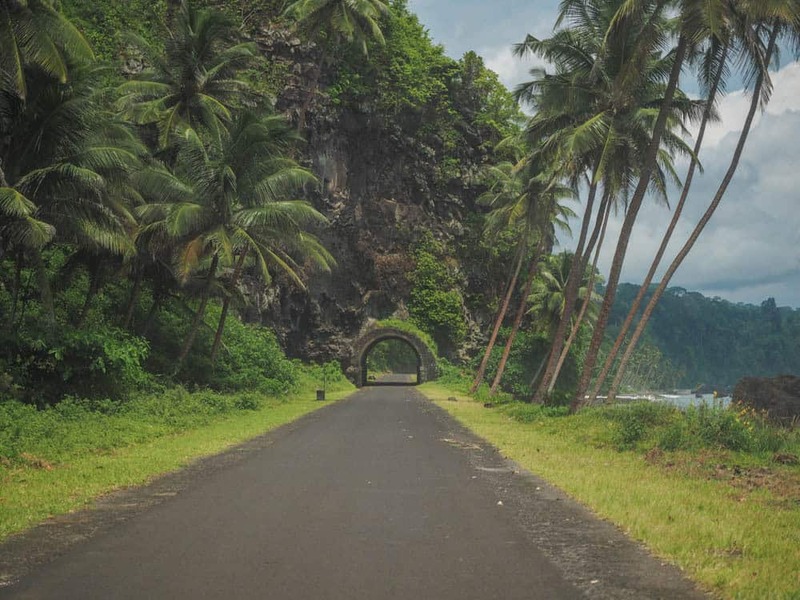 The only tunnel in Sao Tome & Principe. Santa Catarina is a small local fishing village, where the locals are still using their small wooden canoes for fishing. 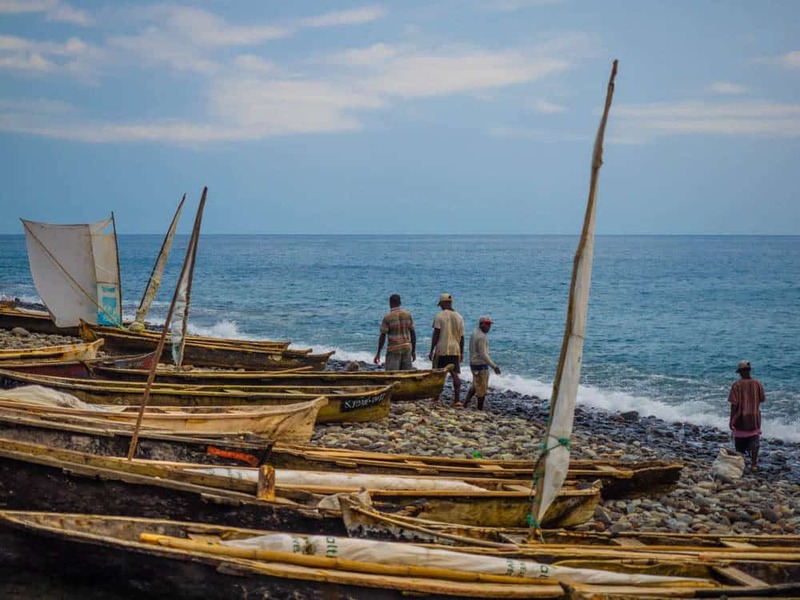 Arrive here in the afternoon and you will see locals arriving with the catch of the day, during my visit was the main catch of the day a Shark, even tho I’m a big fan of shark and think they should be protected, so do I understand that people here have to Survive. Local fishing boats in Santa Catarina. 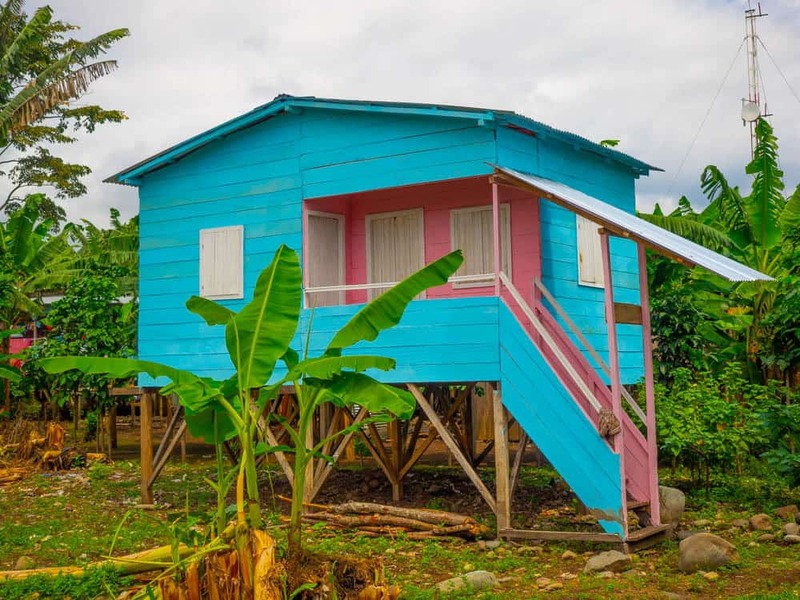 A local house in Santa Catarina. After Santa Catarina does the road continue for another 10minutes onto a dirt track, here nothing to see here, but if you have a guide can you do the two day Volta a Ilha hike from here down to Porto Alegre on the southern part of the island, this is the most remote part of Sao Tome & Principe. I would love to do this hike if I’m back here. 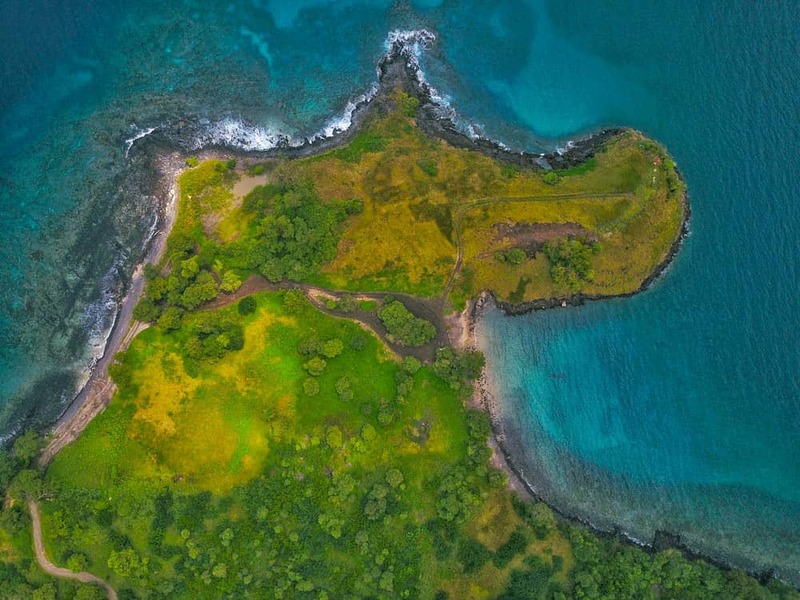 This is the heart of the island, the central part, home to many hikes, waterfalls, the entry point into Ôbo National Park, a heaven for birdwatchers and people interesting in threes and flowers. Monte Cafe plantation, the biggest coffee plantation in the country and home to the coffee museum of Sao Tome & Principe is here. 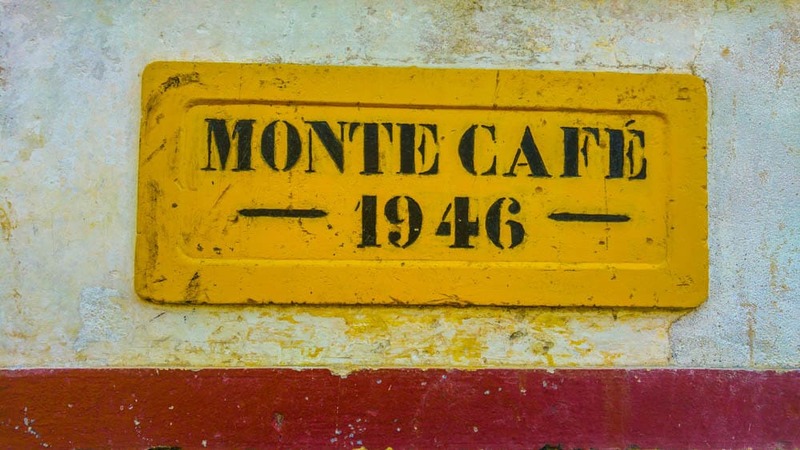 Monte Cafe in central Sao Tome. I rented a motorbike and drove around here myself for a few hours before I got hit by a big rainstorm if planning to the hikes around Ôbo National Park is also a guide recommended here. Since I got hit by a heavy rainstorm did I only visit Monte Cafe and São Nicolau Waterfall, in this area. Monte Cafe is home to the best restaurant in the country, the Alei Coffee Shop Restaurant; I stopped here for lunch during the rainstorm. There´s also a small shop selling locally produced coffee, both beans and ground coffee, this small shop had the best selection of coffee I could find anywhere in Sao Tome & Principe, so if your planning to bring some world class coffee home, is this the place to buy it. 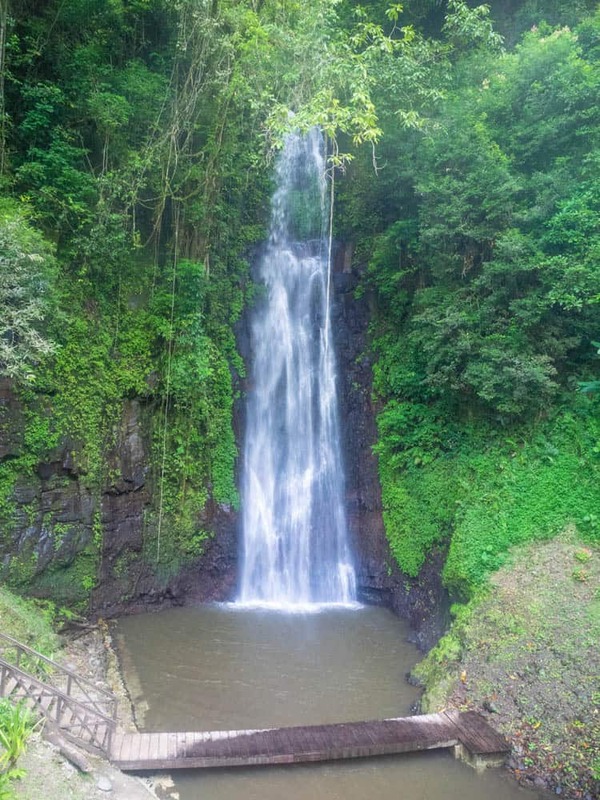 São Nicolau Waterfall is a favourite among locals to have a swim and relax away from the heat. Since this part of the island is located on a higher elevation then the capital so is a lot “cooler” up here, so it´s common for locals to come up here during the warmest period of the day.